"Bad 4 Me" is a fresh twist on a classic sound! Look out for "Bad 4 Me" coming thru a speaker near you on August 14th! my favorite part right here. Beautiful. Do u do collabs? maybe if Adina do a cool video. this song will go up the charts . 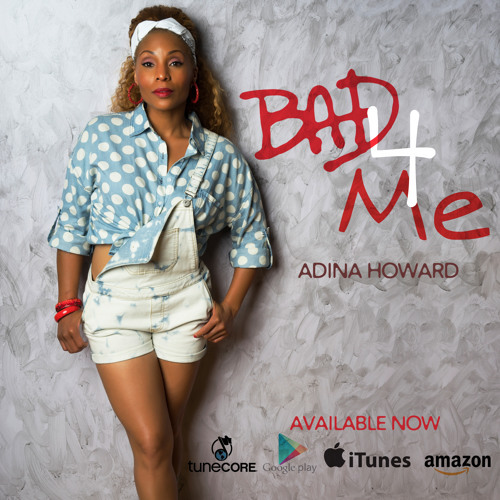 @adinahoward: HI, MISS. HOWARD ;) FANTASTIC MUSIC, MORE PLEASE. Something different for her but I like it. I think it will have to grow on me a little more but its gonna do good in the pop/mainstream field. I support it!! Adina the song is hot. The people i have sent to check it out they said they love Bad 4 me.